Vector illustration for halloween. 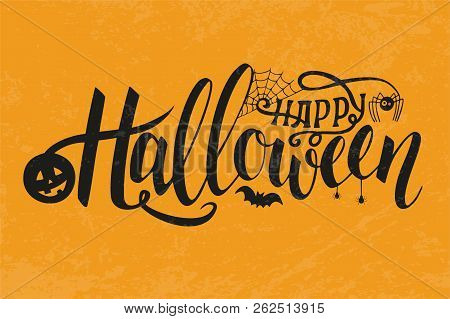 Happy Halloween Text Banner. Poster for Halloween on yellow background. Autumn poster with pumpkin, web, bat, spider.